The two smartphones of last year gets new color variants, will be available in Korea from February 2018. 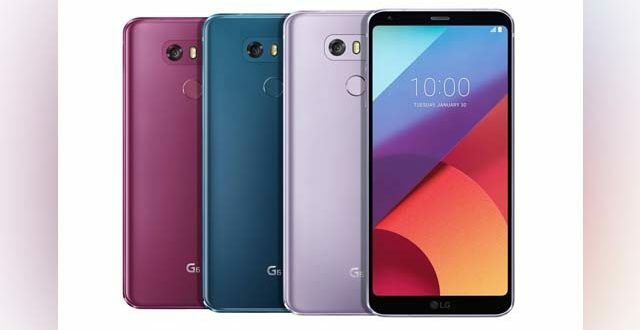 South Korean manufacturer LG today launched new variants for two of its smartphone, LG G6 and the LG Q6. LG G6 which was launched in March last year gets the Moroccan Blue and Lavender Violet variants and the Q6 which was launched later in July last year gets the same previously mentioned variants along with a third Raspberry colour, previously available for the LG V30. The company announced it in a press release earlier today stating that the new colours would land in their home country in February followed by other key markets worldwide. The smartphone industry is dominated by the black, silver, white and gold colours and LG says the Blue Colour was inspired from the beautiful Blue buildings of Chefchaouen in Morocco while the Violet colour was developed to appeal men and women who appreciate the finer things in their life. While the new colour choices were pretty good, their choices for the smartphones were bad. The LG G6 didn’t sell much, and the Q6 was not the device LG could brag about. Also, the LG G6 successor is slated to arrive soon, where the new colour investment would have worked pretty well. That being said, the new colour shades are quite impressive and a gift to those who are still planning to buy these smartphones. The LG Q6 is a mid-range smartphone priced at Rs 12,990 at the current moment while the LG G6 is a premium mid-range smartphone with a price tag of Rs 29,990. The new variants will carry the same specs as the regular ones.